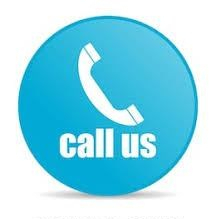 If you have been involved in an auto accident, please call our office right away to insure your rights. We can help answer any questions you may have and ensure you get compensated for any injuries or damages you have suffered. •· We will file the necessary claims and fight for you until the case is either settled or goes to trial. In addition to auto accidents, we also handle motorcycle accidents, truck accidents, boating accidents, medical malpractice and other types of motorized accidents. Please contact us and we will be happy to provide you with a free consultation. We will evaluate the details of your case with you and let you know if you have a claim.